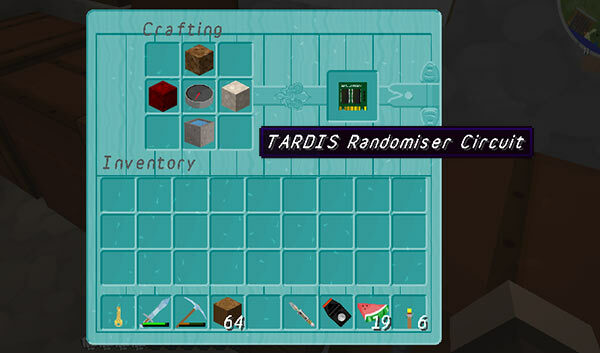 When inserted in the Advanced Console, the TARDIS attempts to find a completely random destination. It also uses more Artron Energy than regular random travel (using the repeaters and button) and disables the scanner until the TARDIS has landed. DIRT, NETHERRACK, COMPASS, ENDER_STONE, WATER_BUCKET in shape shown below. Sets the Artron Energy cost to use the circuit.